Mediterrenean is the center of not only Europe but also world civilisation. The first bank of the world was founded in 600 B.C. 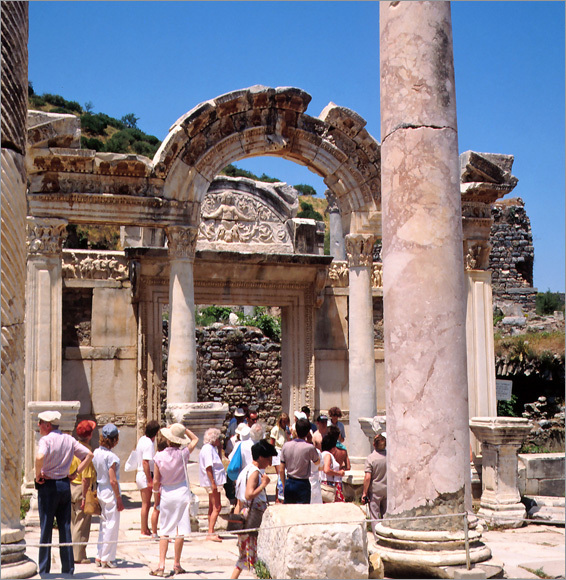 in Ephesos, mosaic has been discovered in Bergama, the city architecture decorated with paralel roads which is the source of today’s modern architecture has been found in Miletos. In addition to all these, science and scientific thinking was also born on this land. In those ages when people worshipped the moon and the sun and the sun eclipse horrored people, according to what Heredot of Halikarnassos wrote, Thales of Milet had calculated long ago that the sun eclipse would take place on 28th May 585 B.C. The first geographer in the world Strabon was born in Amasya 683 B.C. His work Geographika where he tells the world geography has been translated to many languages.